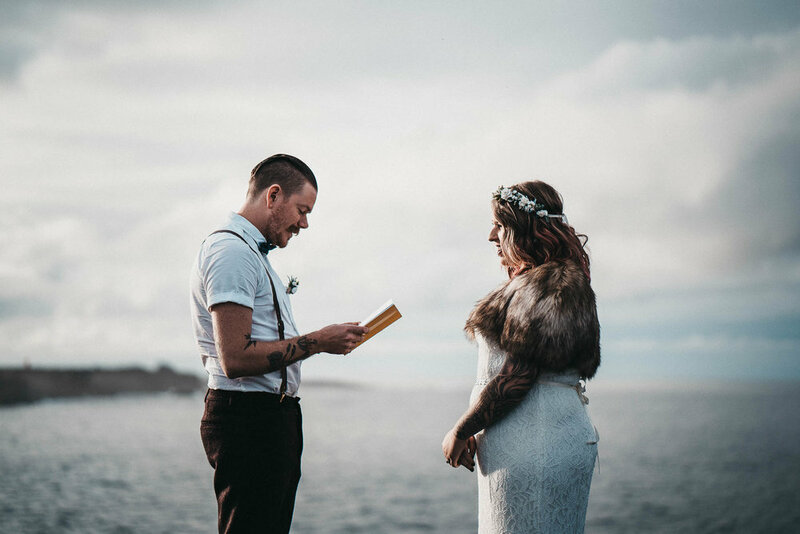 Back in September whilst over in Iceland I joined Brittany + Myles for their beautiful vow renewal on the South Coast at the Valahnúkamöl cliffs. 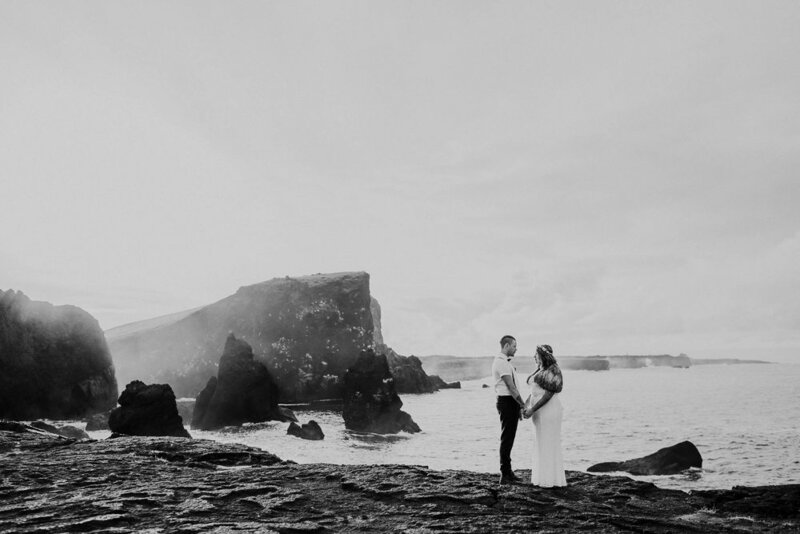 They had recently got married in Toronto and decided to book me for a couple shoot whilst on honeymoon in Iceland. 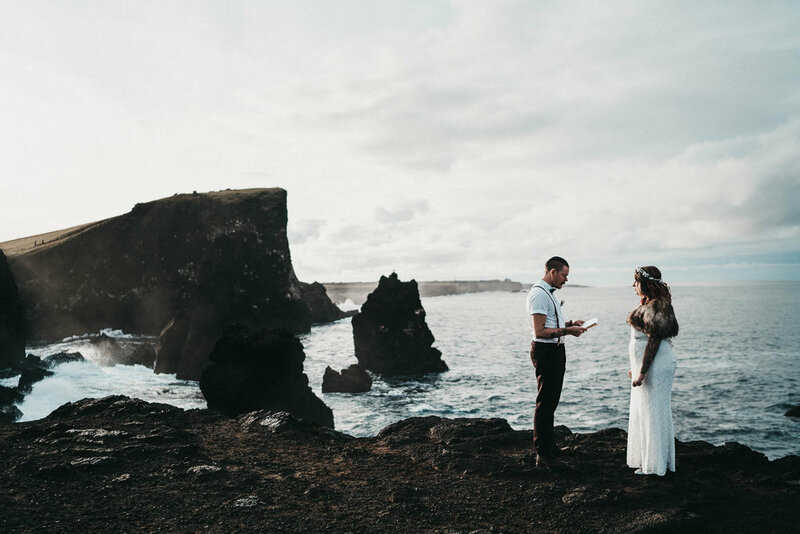 We met early in the morning in central Reykjavik and hopped in a car, heading right the way down the the south western tip of the Reykjanes Peninsula, at the Valahnúkamöl cliffs, which was our first stop of the day. 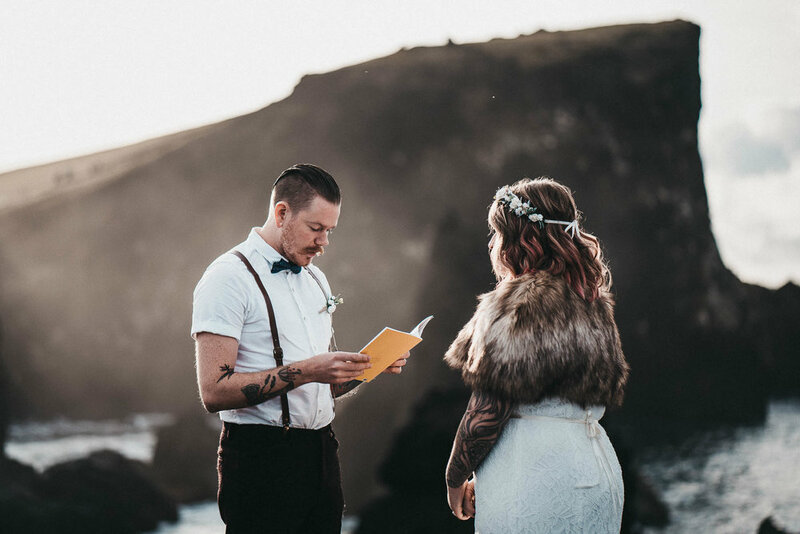 This was the place Brittany + Myles had chosen to read their vows to each other. 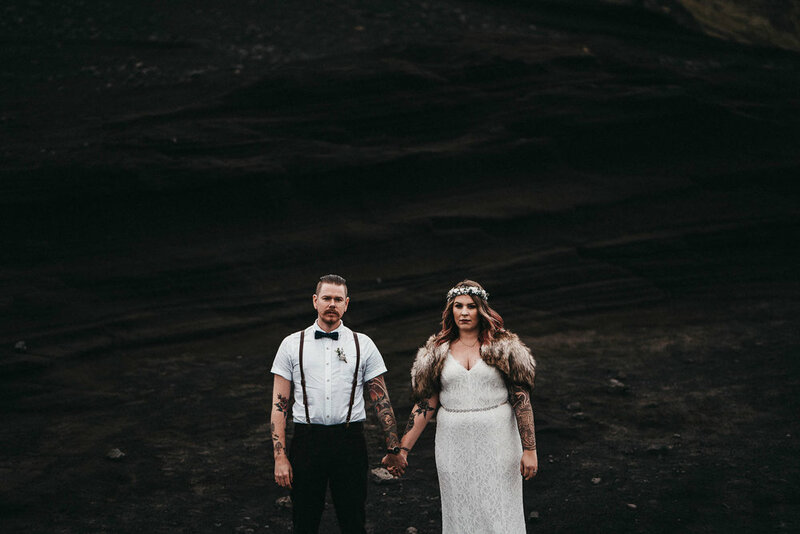 The couple looked amazing in their wedding outfits, and tattoos on show. After the readings we took a walk around the cliffs and then hopped back in the car to carry on with the trip. 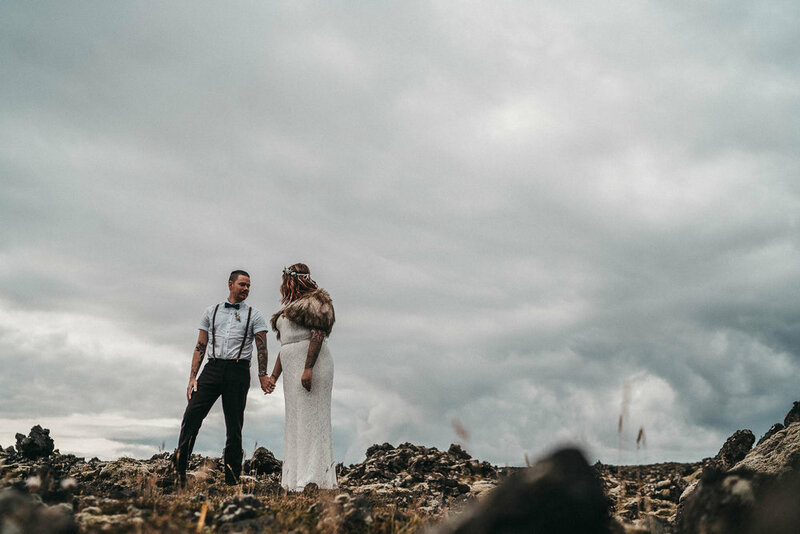 The landscape around the Reykjanes Peninsula is incredible, and unlike anywhere else I've ever visited. 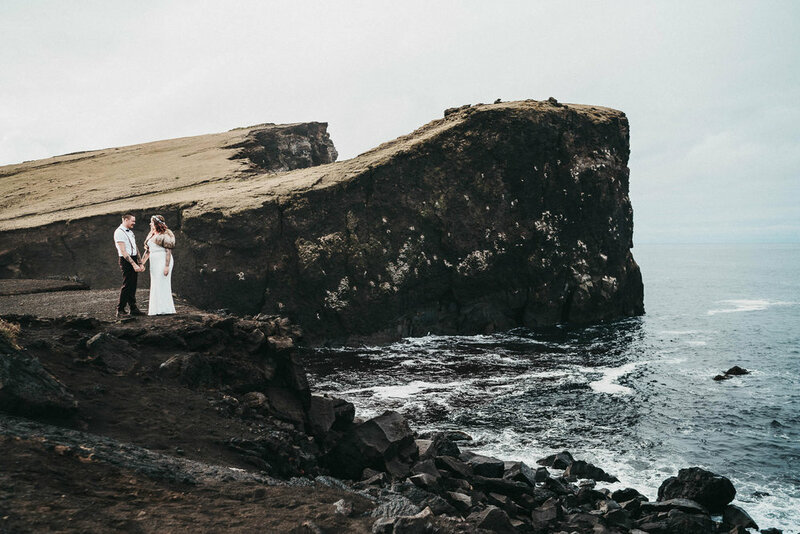 This part of Iceland is a relatively new, historically, being only a few thousand years old. It's miles of black rocks, dust, some moss, and plenty of geothermal activity. 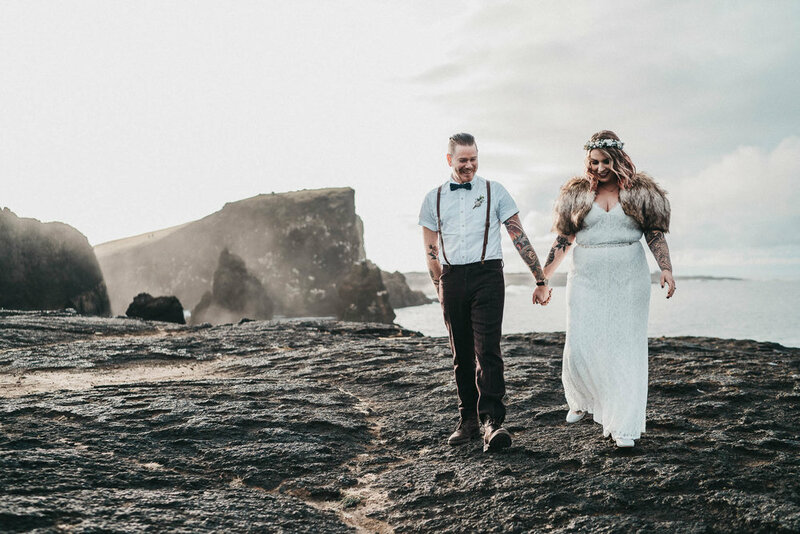 This of course makes an incredible and unique setting for pictures! 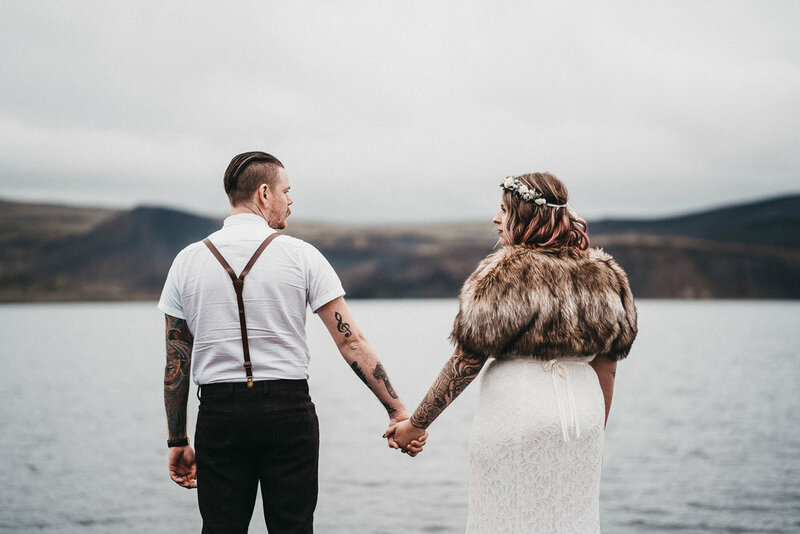 We stopped off at multiple points along the journey, and with it not being one of the major tourist areas in Iceland we had most places to ourselves for the majority of the photo shoot. 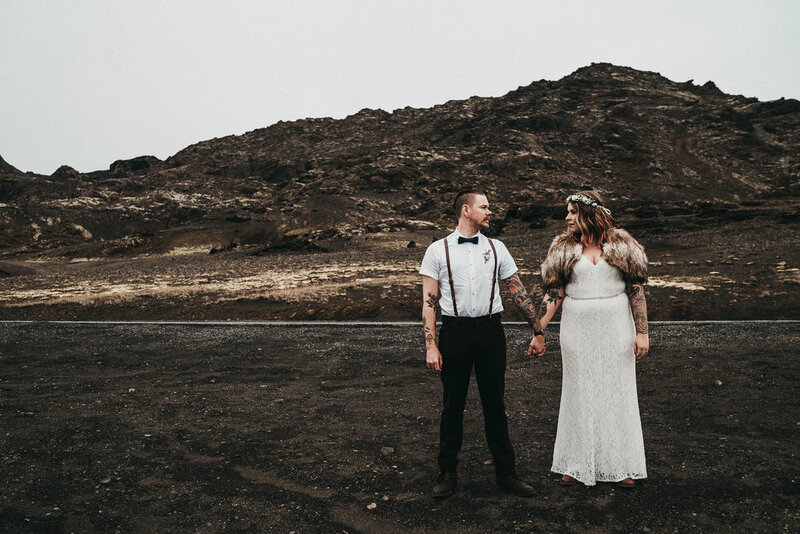 We also visited the Krýsuvík geothermal area, and finally Kleifarvatn before making our way back to Reykjavik just in time for some brunch. Hope you enjoy looking through the pictures!